In an effort to stimulate their local economies, several cities throughout the United States have made attracting new entrepreneurs and businesses a top priority on their agenda. Oftentimes, struggling cities use tax breaks or other business friendly practices to lure potentially lucrative startups to their respective area. Some especially proactive cities have taken such incentives a step further, fostering long-term growth by investing in their infrastructures, specifically high-speed Internet, as a way in which to attract promising business interests to their city and to keep young, upwardly mobile people from leaving. As cities contemplate the potential impact that investing in ultra-high-speed Internet could have on their goals for growth, the benefits that stem from initiatives to install the infrastructure needed to support Internet speeds that can reach 1Gbps have already been realized in some U.S. cities. How can a Business Benefit from Ultra-Fast Internet? There are numerous benefits that businesses stand to gain with a fast Internet connection. In addition to downloading and sending large files across the Web in seconds, businesses can also back up crucial data on cloud-based applications rather than relying on hard drives that are susceptible to crashes and other physical disasters. Also, inefficient or more expensive hard line telephone services can be easily replaced with a VoIP system, which often translates into lower telecommunication costs for the business. An ultra-fast Internet connection allows businesses to experience the same crystal clear reception through their VoIP service as they did through their hard line connection. Finally, a fast Internet connection enables real time, remote communication among collaborators and across project management software platforms. Project management software promotes a more effective teamwork environment by keeping employees focused on larger company goals and initiatives, and a fast, reliable Internet connection eliminates the barriers that often stifle progress and slow productivity toward this end. With all these benefits in mind, it's no wonder why new business owners make finding a city with high-speed Internet a top priority when determining the location of their startup. In College Station, Texas, co-founder of Exosent Engineering, Andrew Duggleby, experiences first-hand the frustrations of a business owner dealing with an inefficient Internet service provider. Exosent Engineering designs and manufactures tanker trucks for the oil industry. Duggleby relies on data intensive 3D models to showcase the company's products to potential clients. Due to slow, insufficient Internet speeds, Duggleby has to download the 3D models onto a hard drive and ship the hard drive to his clients. "We're doing three-dimensional computer-aided design, big 3-D models", Duggleby explains. He goes on to lament: "so here we are, this super-advanced engineering company, with all these technologies... but then it can't get past the walls." There's no doubt that having a faster, more reliable Internet service provider would save Duggleby time, money, and enhance his company's credibility in the eyes of potential clients. After being dubbed the "dirtiest city in America" by Walter Cronkite in 1969, Chattanooga, Tennessee was one of the last places an entrepreneur would consider starting a new business. The establishment of a smart grid in 2009, however, aimed to provide insight into how electricity was used in the city, provided Chattanooga with the infrastructure necessary to support fiber-optic Internet. Chattanooga now exemplifies the profound and positive impact having the ability to offer speeds up to 1Gbps can have on a local economy. Commonly referred to as "The Gig", the ultra-fast Internet has turned the once dirty town into a technology hub with billions of dollars in new investments and a healthy flock of incoming entrepreneurs looking to take advantage of the top-notch Internet speeds. Downtown Chattanooga now sports an "Innovation Zone," and each year there's a 14-week summer entrepreneur program that's focused on highlighting the best ways to utilize gigabit broadband. In recent years, the Gig has boosted Chattanooga's local economy, allowing the city to experience the 3rd highest wage growth of all mid-sized American cities. Kansas City, Missouri experienced a similar growth spurt following its introduction to Google Fiber. The Kansas City Startup Village was established by a group of entrepreneurs and now serves as a startup community that helps support aspiring entrepreneurs in the Kansas City region. Synthia Payne, who started a social media website called CyberJammer, moved from Denver to Kansas City exclusively for the ultra-fast connection the city could now provide. CyberJammer's business model centers on the ability of musicians to communicate instantaneously with one another online, and the sufficient bandwidth that Google Fiber provides is a critical part of that operation. Furthermore, in both Kansas City and Chattanooga, the introduction of fiber-optic Internet has led other companies who are looking to cash in on this opportunity to enter the market. This increased competition has helped drive down prices, making the services more affordable for businesses and residents alike. In fact, since the initial introduction of these fiber optic services, both Kansas City and Chattanooga businesses and residents have multiple Internet providers from which to choose. The success stories of Kansas City and Chattanooga have inspired other struggling cities to realize and engage the profound impact of the Internet as a means to promote growth in their own cities and create the environment in which the next Apple or Google could develop. Rocket Fiber, a startup Internet service provider in Detroit, sees the Motor City's long-term recovery stemming from having an Internet service provider that can deliver ultra-fast speeds. Detroit is currently served by Comcast, and Rocket Fiber will offer speeds up to 1Gbps that will be $45 cheaper than Comcast's fastest plan. Edi Demaj, a co-founder of Rocket Fiber, visited Kansas City and saw firsthand how gigabit service could transform a city. "A lot of companies moved to Kansas that would have never moved to Kansas," Demaj explains. "We want to make sure Detroit is one of a handful of cities to have gigabit service to the residence." Google FiberConnections at up to 1,000 Mbps and fast downloads. Google Fiber provides Fiber services. Rocket Fiber(844) 847-6253Offers the fastest speeds in Detroit Michigan! Not only does Rocket Fiber provide the fastest internet, every plan comes with a 24/7 human support team with the best support in the industry. 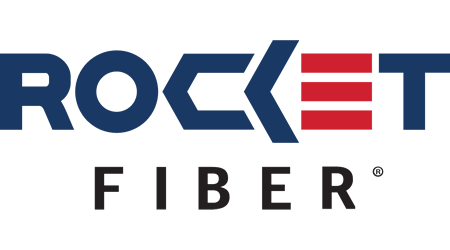 Rocket Fiber provides Fiber services.